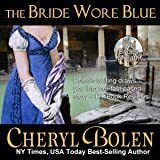 What's a duke to do when a carefully selected bride rejects him rather than marry without love? He salvages his pride by marrying the next woman who falls into his arms. Joyous Fiona MacQuarrie bewitched the Duke of Belmore the moment she appeared from nowhere and knocked him over...literally. 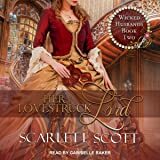 Joyous MacQuarrie is a Scottish witch whose powers of white magic are not always easy for her to control. 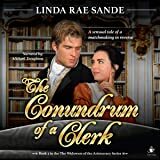 When Alec's pride makes him choose to marry her, Joy turns the life of the most serious and snobbish duke in England upside down. 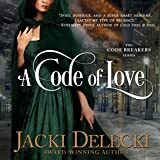 Too soon Alec finds his well ordered and controlled life a mess, because he married a witch - one who turns him to fire when he kisses her, who charms everyone around her, and threatens to destroy both their lives as scandal looms over her. 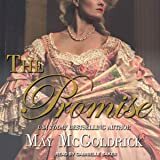 Too late, Joy discovers she's desperately in love and not even the strongest magic can seem to turn her into a proper duchess, or make her husband love her. Passion holds them spellbound in an irresistiblely funny and tender tale of two opposite but lonely hearts. "... ten minutes and twelve gurgling flushes later ..." - and that's not counting the 2 previous flushes she'd already done! Sorry, but no matter how fascinating or how much of a novelty it was, I really can't see a young woman doing that for more than 3 or 4 times max - it would be just too immature and silly - 12 is pushing the envelope too far I'm afraid! There were parts that I did enjoy and it was never so bad that I didn't overall find it a pleasant enough read - but only under $5. 5.0 out of 5 starsMagical. 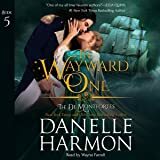 This story and it’s touch of magic was so romantic I couldn’t put it down. It’s characters are so loveable and humorous, I laughed so hard at times. The steamy love scenes are beautiful and I absolutely loved the HEA ending which still has me thinking about it at times. That’s how a romance should be! 3.0 out of 5 starsOK until a frenzy of overwrought drama at the end. For anyone old enough to remember the 60s TV series 'Bewitched' much of this book will be very familiar. Joy is an incompetent witch who is thrown into the path of a proud duke who has just been jilted. She has a big crush on him and is happy to marry him immediately. There follows a whole lot of Bewitched type klutzy situations where the stuffy duke is horrified at the messes that ensue when Joy tries to do magic. There was much that was good hearted about this book but I had no idea where it was going and by the end I felt the author didn't either. One minute it was comedy, then high drama then sickly sweet self sacrifice. That said there were some really entertaining scenes and I read it all the way through, but I'm not sure if I will be chasing other books by this author. Its been a while since I have been so invested in a story which flowed and was easy to.digest. The perfect combination of history, fantasy and romance with a magical ending. Recommended for those who believe that magic is found all around us. A great read, fabulous characters and storyline. 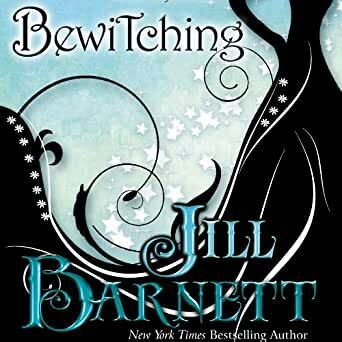 Will definitely read more of Jill Barnett's books! I Highly recommended this original story.